Wizards publishes 5th edition dates etc. Check out the full story at Greyhawk Grognard. It is times like these when I miss playing. I know Microsoft just bought Nokia, and that that is without a doubt the biggest news of the day. 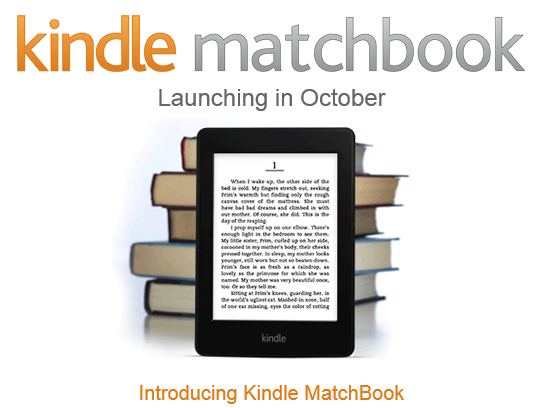 However, since I am working through my home office, with the intent of vacating it, I found the Kindle Bookmatch to be really exciting news. In a few months all by books will be packed in boxes and stowed away, so I have been looking at the Kindle as a replacement. However, buying all my books again could be a really costly affair. Imagine my suprise when I saw today’s Amazon anoucement. Available for thousands of great print books purchased new from Amazon, going all the way back to 1995 when Amazon first opened its online bookstore. Check it out here and read more about it here. 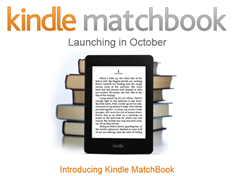 Luckily I have bought most of my recent books from Amazon, so hopefully I will get to benefit from this deal. Here’s to hoping. Maybe I could finally get the last of the Dragonlance novels that I miss. I just installed the Blogger app for iPad, and even though I detest Apple and all that company stands for it is still pretty cool. Anyway, here’s to more blogging here on GigaBoot.